Hundreds of people in southern Laos are missing and many are feared dead a day after a hydropower dam under construction broke, killing several as it swept away homes in flash flooding, state media reported on Tuesday. Singapore, Thailand and Malaysia are the South-east Asian markets most hit by wanderlust, a study by digital payments provider Visa has found. More than three-quarters of small and medium-sized enterprises in Singapore plan to expand in the South-east Asian region, according to a report released in July. ASEAN Digital 5.0 (Access to Sandbox Ecosystem in Asian Nations) Digitization Five Times Faster will hold its first worldwide summit at Siam Niramit Thailand Cultural Centre, Bangkok, Thailand on 25th September 2018, 9 am to 4:30 pm. The Association of Southeast Asian Nations should “delegitimize” the near-certain victory of Cambodian Prime Minister Hun Sen in an election Sunday that may “set the tone” for authoritarianism in the region, a leading human rights politician said Tuesday. First, there were trade jitters. Then, currency worries. Now, Southeast Asian governments are staring down swelling budget deficits in the latest test for regional stability. 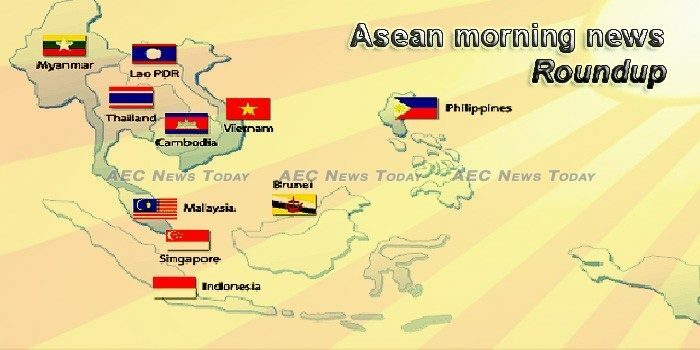 Asean as an interlocutor for peace on Korean peninsula? Following the Singapore Summit, the world starts to pay attention to the positive role of Southeast Asian region as a positive platform for global diplomacy, contributing to the ongoing efforts to achieve peace and stability of the Korean peninsula. Myanmar which will host the next Asean Education Ministers Meeting (ASED) in October seeks to boost its education sector by cooperating with India, China and the US among others. More must be done to protect women, men and children from sexual and gender-based violence after disasters, say the authors of a new report written by the International Federation of Red Cross and Red Crescent Societies (IFRC). Life without Uber should be simple for Grab, but a battle with regulators in Singapore could see the company’s acquisition of Uber’s Southeast Asia business unwound while some consumers have voiced concern around a lack of competition. Across Southeast Asia, The Philippines has shown the strongest growth in online hiring for HR and Admin professionals for the months of April and May 2018. The Diplomat‘s Ankit Panda (@nktpnd) and Prashanth Parameswaran (@TheAsianist) take stock of electoral developments in Indonesia, the upcoming elections in Cambodia, and Thailand’s prospects for democracy. A Cambodian government official on Thursday said as many as 220 observers from 52 countries would monitor Sunday’s general elections, widely expected to deliver a landslide victory for Prime Minister Hun Sen after the main opposition was dissolved. Even on a crackling line from Africa to Asia, Mu Sochua sounds determined. The Cambodian Ministry of Foreign Affairs and International Cooperation has expressed dismay over the United Nations’ Special Rapporteur to Cambodia Rhona Smith’s comments on the forthcoming general elections. High waves occurring this month in Yogyakarta have so far caused over Rp 2 billion (US$137,807) in financial losses in the province, a team of experts have said. Indonesia’s central bank will launch a new benchmark for overnight interbank money market next week, called “Indonia”, which will eventually replace the existing Jakarta Interbank Offered Rate (JIBOR), a senior bank said on Tuesday. The Agrarian Reform Consortium (KPA) has called on the government to cancel US$200 million loan from World Bank because the activities that will be funded by loan is “nothing to do with agrarian reform”. The collapse of a hydropower dam under construction by a South Korean company in southeastern Laos in the evening of July 23 is a big setback for the secretive country’s vision to become the main supplier of electricity for Southeast Asia through the construction and operation of a series of hydropower facilities along the country’s many rivers. Malaysia has one of the most complex corporate compliance regulations among 84 jurisdictions in the world, according to TMF Group’s Compliance Complexity Index. Gross issuance of Malaysian Government Securities and Government Investment Issues (MGS/GII) is expected to be in the range of RM100 billion to RM105 billion this year, according to Malaysian Rating Corp Bhd (MARC). Malaysia Airports Holdings Bhd (MAHB) said it has been playing a crucial role along low-cost carrier AirAsia Group in supporting and boosting the growth of low-cost travel in Malaysia and will continue to do so. Myanmar’s new foreign direct investment act is expected to attract more Thai investment in the neighbouring country, says the head of the Thai Business Association of Myanmar. Three airlines in Myanmar suspended operations in the recent past, citing economic losses and a shortage of aircraft. Myawaddy, Hlaing-bwe, and Hpa-an townships, in Karen (Kayin) State, have been affected by severe flooding after heavy rain triggered a sudden rise in the river level of the Than-lwin (Salween) River and the Thaung-yin (Moei) River this week, the State Department of Disaster Management’s director U Lin Htut said. Four days after a 13-year-old boy was killed by a downed power line submerged in a deep, murky puddle in his neighborhood, several branches of the Yangon government convened to formulate a plan to address the city’s electrocution problem, which claims dozens of lives every rainy season. Philippine President Rodrigo Duterte has asked lawmakers to pass legislation that will help restrain inflation and spread wealth and power beyond the capital region. The Cagayan Economic Zone Authority (CEZA) said about 20,000 jobs in financial technology (fintech) will open up as soon as it awards the initial 25 principal licenses to be made available to qualified fintech companies. Small startups aiming to get in on the action on Singapore’s profitable e-commerce scene may need to rush as heavyweight banks are increasingly muscling their way into the scene, effectively sealing their dominance across verticals. Seniors keen on learning how to create ringtones of their favourite songs, run a blog, or code an app can now sign up for a series of new courses run by the Infocomm Media Development Authority (IMDA) in collaboration with tech giant Apple and the National Library Board. This chart from Morgan Stanley shows the declining trend in the percentage of non-oil domestic exports (NODX) to Singapore’s gross domestic product (GDP). It crashed to 40% in 2018 from its peak contribution of more than 70% in 2006. According to the Irrigation Department, the Srinakarin dam in Kanchanaburi province is now 83 percent full with 14,790 million cubic metres of water; the Kaeng Krachan dam in Petchaburi province is 86 percent full with 612 million cubic metres of water; and the Pran Buri dam in Prachuab Khiri Khan is 85 percent full with 331 million cubic metres of water. The cabinet on Tuesday acknowledged a raft of proposed infrastructure development projects worth 59 billion baht for the lower Northeast as the government concluded its two-day cabinet trip to Ubon Ratchathani and Amnat Charoen provinces in the region. Deputy Prime Minister Prawit Wongsuwon was urgently taken to hospital after complaining of a serious stomach-ache while attending the mobile Cabinet meeting in Ubon Ratchathani province this afternoon. Prime Minister Nguyen Xuan Phuc in early April urged greater vigilance against cryptocurrency transaction and investment, while using cryptocurrencies as means of payment is prohibited in Vietnam. On a recent weekday afternoon in Ho Chi Minh City, the passengers bouncing along on one of the city’s green buses breathed in mouthfuls of carbon monoxide, hydrogen cyanide and other chemicals that add to Vietnam’s notorious pollution.